What are IP and IL? Left to Right: Joaquin Jose Diokno Escay (Philippines), Paul Janicke (Univ. of Houston Law Center), Dr. Fredericka Sala Illiasu (Ghana), Craig Joyce (Univ. 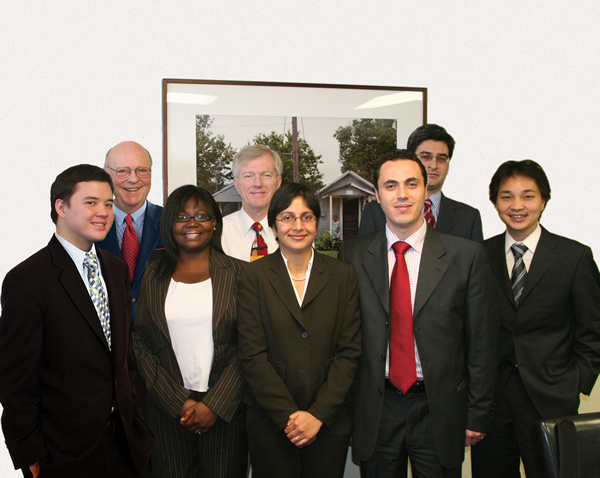 of Houston Law Center), Sapna Kumar (Univ. of Houston Law Center), Capt. Khaled Hussein Youssef (Lebanon), Dr. Gusztav Bacher (Hungary), Roger Ken Fong Chin (Malaysia), Not Pictured: Pamela Waithira Mburu (Kenya). To examine the impact of technology on intellectual property protection and the development of new IPR laws and policies to respond to the growth of the Internet and digital technologies.